Quick update on the tubes that were installed over Black Walnut trees that were planted a couple of year ago. You can see the original post here. 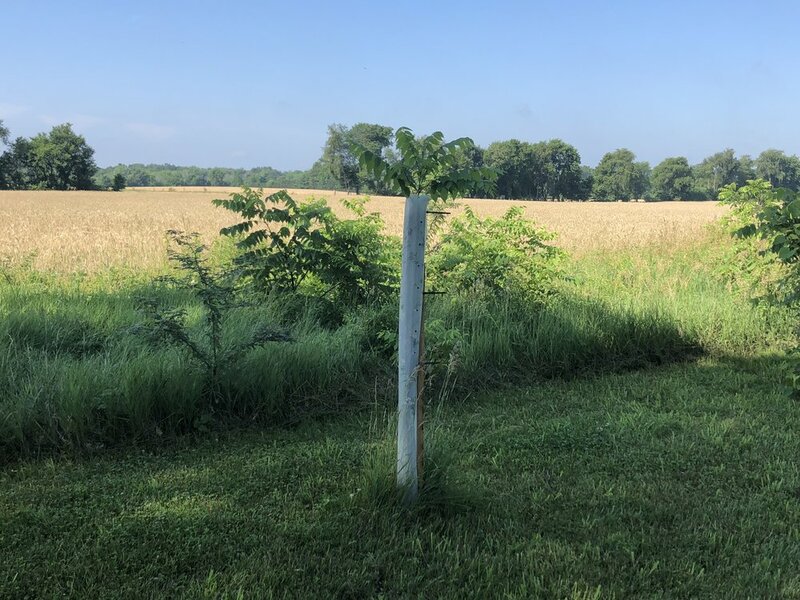 The Tree Pro Grow Tubes were installed September 5th 2017, these photos were taken July 3rd, 2018. The increased growth is after 10 months. We installed 25 60" Tree Pro Protectors around the trees and did a little corrective pruning to ensure we had a good central leader. You can see in the photos below the 1st year of growth in the tubes is astounding. Black Walnut tree that has grown 42” inches since the Tree Pro Protector was installed. This Tree Pro Grow Tube is going strong as the black walnut seedling begins to come out of the top. 10 Black Walnuts that started inside the Tree Pro Grow tube and have now come out of the top of the Grow Tube for Trees.